Are You Looking To Improve The Look Of Your Headlights? Are You Unsure What Is Legal And The Best Way To Go About It? It’s Always A Concern When You Start Looking At Modifying Your Vehicle. You Don’t Want The Police Stopping You And Issuing A Rectification Notice; Lots Of Paperwork And Lots Of Hassle. We Can Take The Uncertainty Out Of The Process By Guiding You On What Is Road Legal, And What Insurers Will Think Of The Different Modifications You Could Do. We Have Tinted Windows And Headlights On Thousands Of Cars Around The Sussex Area And Therefore Have A Wealth Of Experience To Draw Upon. We Understand The Regulations, And We Understand What Looks Best As Well. We Believe It Is Definitely A Good Idea To Get Your Rear Lights Tinted Professionally. If You Are Doing Anything With Your Front Headlights Then You Need Some Expert Advice Unless You Have A Massive Amount Of Experience Yourself. There Are Certain Products That Work Well, And Others That You Need To Steer Clear Of. If you have already bought your headlight film then we can guide you on whether it is right for your vehicle; and legal. If you haven’t then we can guide you on which products will work best. We can then fit the solutions so that they look great. 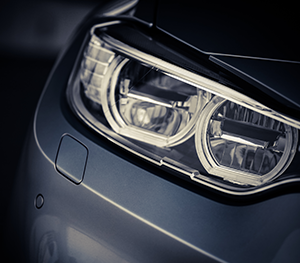 There is no doubt that headlight tint options are diverse, and some of them really do make your car shine that little bit more. However, you have to do the install correctly to get the maximum effect and to remain road legal. A legal solution installed badly can make the installation illegal. Give us a call or contact us through the website and we will give you some initial advice over the phone. If you are sourcing the product yourself then we will let you know what we are happy to install. If you want us to source the headlight tinting solutions then we will need to know the look you’re going for, the make and model of the car, and the year of the car. We will then go about finding the best solution within your budget. We may also advise you on the correct bulbs to use in your vehicle, and can source those too. We will then come to you and do the installation process. We are flexible and can work mornings, lunchtimes, evenings and weekends in order to make the process as convenient as possible for you. Get in touch today and find out more about tinting headlights in Sussex.